When LinkedIn first launched in 2003 it started out as a simple social network for professionals. Over the years the company introduced groups, company pages, job listings, and various recruiting and networking tools. Today, it's not only a social network but a content powerhouse generating over 30,000 long form posts by LinkedIn members on a weekly basis. blog for usThe Content creation initiative started with an Influencer Program. Launched in the Fall of 2012, LinkedIn's Influencer program brought in over 300 renowned thought leaders from almost every industry and profession. Everyone from politicians to business leaders to philanthropists to motivational speakers is contributing and sharing their knowledge and thought provoking ideas on LinkedIn. Getting hundreds of new articles posted on daily basis is a feat in itself for any website, but what's even more impressive is how LinkedIn convinced all these powerful influencers to do it. 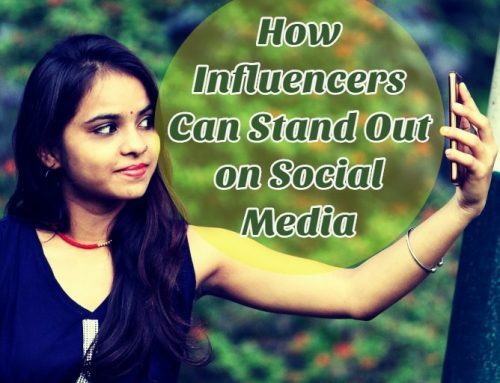 Some influencers like Barack Obama have only produced a handful posts, others like Sir Richard Branson and Arianna Huffington regularly push out fresh content. Still, with the busy professional and personal lives these influencers lead they clearly see value in creating and sharing their content -- and on someone else's platform. "It was the right *pivot* at the right moment. There is no way LinkedIn could have started off asking influencers to write for them; however, as a business they built up a massive professional user base. As LinkedIn moved from online Rolodex (what I originally used it for) to useful professional social network, there was a golden opportunity there to add real value-added content. Business leaders these days are obsessed with their personal brand (aren't we all at least a bit?) - and LinkedIn had a big enough podium for them to stand on. So I have to say it was the allure of LinkedIn's scale and reach that brought in the influencers. And if we'll recall... at first it wasn't too successful. I found most of the early "influencer" content to be pretty terrible; but people are really getting the hang of it now and I enjoy reading a lot of what gets posted." Great answer above and makes sense. Who wouldn't want access to world's largest network of professionals? But is that enough to convince an influencer to contribute content? It couldn't be that easy, could it? I was really curious about the logistics and how actual persuasion happened. Was there a PR firm involved? Are influencers compensated for their content? To get more answers, I headed over to the one place online I knew of where I've seen active participation from LinkedIn employees and Influencers, Quora. "I'm not sure how LinkedIn "convinced" so many to participate, but there probably wasn't a need for much persuasion on LinkedIn's part. They targeted expert users that would jump at the chance to have another place to further their "personal brand" establishing themselves as industry leaders among many business professionals. LinkedIn's shift to content marketing was strategic and smart. Allowing for expert business leaders to post long-form content took it from "professional social network" into a media-publishing-platform network." Again, this response is along the same theme I've been hearing all throughout my quest, as another platform (popular and very active social network) to establish themselves as industry leaders among many business professionals. What's interesting about the answer above is that it was validated with an 'upvote' by LinkedIn's Head of Product, Ryan Roslansky. "LinkedIn very smartly got buy-in from some of the greatest world leaders and business leaders (Barack Obama, who at the time was running for re-election), David Cameron, Jack Welch, and Richard Branson were amongst the first group. Obviously politicians are driven by their ability to influence, and Branson & Welch driven by brand and ability to teach respectively. Once they had the incredible core, it was easy to go to other leading CEO's, authors and thinkers, asking them to participate and giving them credibility-by-association with the initial group. As a prolific Influencer, I have benefitted from association with Branson & co, driven over 20 million pageviews, and secured thousands of books sold and leads generated. But the #1 impact has been the actual real-life relationships I've gotten with brilliant thinkers, gamechangers and CEO's such as Adam Grant, Gretchen Ruben, AJ Jacobs, and Craig Newmark. The feedback that the LinkedIn audience provides is also unheard of anywhere in history on or off the web. Some of my articles generate thousands of comments, while most generate hundreds. For a writer, feedback is currency. So even though Linkedin influencers aren't paid, and even though most are extremely busy - it's been a great net experience for me, and for the 40ish influencers I've met over the past year." There you have it, a real response from a real LinkedIn Influencer who answered so many of my questions around this topic. Dave's answer essentially summarized all the responses I received, but with an added validity and credibility. 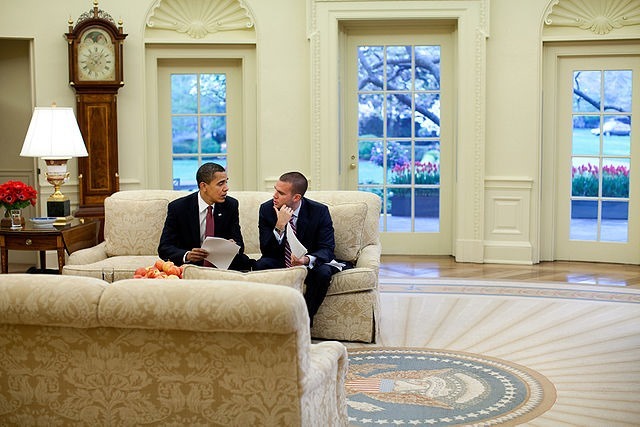 "Dear Leader of the Free World, Would you like to blog for us?" Great Job Andrei! Seems like your quest was a success. Much like Linkedin you did an excellent job of convincing these Influencers to contribute great content to your blog post. Thumbs up! Thanks Craig. I also have a follow up post in which I talk about how to use Quora and other similar Q&A sites to help form new ideas and inform your content. Thanks Andrel, Linked in surely one of the unique social media site which can influence many. It is my one of the source to get targeted traffic as well. Thannks again for the post. That is very interesting Andrei. Their success and growth have certainly been prolific, everybody I know has a LinkedIn profile. But I think the bigger question is where do LinkedIn go from here? A lot of people don’t find it very intuitive to use, or more to the point actually get business or find a new job using it. I don’t know anybody who can point to any great success with it. That may well be lack of education on how to use it, but that should not be a common problem. Many of the groups have become one big pitchfest and I think it is in need of some reinvention. I’d like to know myself what happens next. If you and I are asking where do we go from here, I’m sure others are doing the same. I would bet the LinkedIn Content Product team is working on making the Publisher tools better. But at this point, it is still a great opportunity to gather a following, interact with your readers and grow your professional network. Perhaps in future, we’ll see audience targeting options or self-serve paid content promotion tools.